A rapid drying floor finishing compound.Suitable for light to medium traffic areas. Water mix, it requires no priming and can be trowel applied to form a feathered edge finish. 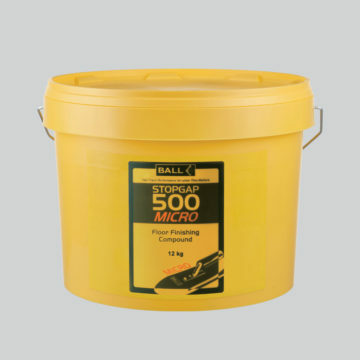 Stopgap 500 will provide a uniform surface, free from imperfections. Dries to allow the installation of floorcovering after 25 minutes, at a thickness of less than 1mm. Packed in a re-sealable bucket allowing the product to be stored until required.